· During the current 2016-17 SS which began on 1st October 2016 and till 28th February 2017, sugar mills have produced 162.45 lac tons of sugar, as against 199.43 lac tons produced last year in the corresponding period. As on 28th February 2017, 257 sugar mills are continuing their crushing operations, whereas in 2015-16 SS, 390 mills were in operation on the same date. · In Uttar Pradesh, 107 mills are still continuing their operations. As on 28th February 2017, sugar mills have produced 62.46 lac tons of sugar, which is 17% higher as compared to last year’s sugar production of 53.51 lac tons on the corresponding period. On 28th February 2016, 102 sugar mills were in operation last year. · Out of 153 sugar mills which had started crushing this season in Maharashtra, 136 mills have stopped crushing and 17 are still working. Till 28th February 2017, mills have produced 41.15 lac tons of sugar, as compared to 70.58 lac tons produced last year on the corresponding period. In 2015-16 SS, 102 mills were in operation as on 28th February 2016. · Almost all sugar mills except one in Karnataka have stopped crushing operations for the current 2016-17 SS and they have produced 20.50 lac tons of sugar till 28th February 2017. As against this, mills in the State had produced 36.15 lac tons of sugar till 28th February 2016 when 46 mills were running. · In Tamil Nadu, 38 sugar mills have produced 6.90 lac tons of sugar as on 28th February 2017 this season, as compared to 5.28 lac tons of sugar produced by 38 sugar mills in 2015-16 SS till 28th February 2016 last year. Out of 38 mills which started, 2 mills have stopped crushing this season. · Andhra Pradesh and Telangana sugar mills have produced 4.30 lac tons of sugar upto 28th February 2017. Last year, during the same period, there was a production 6.51 lac tons during the corresponding date. As on 28th February 2017, 14 mills were continuing their crushing against 23 mills operated on the same date last year. 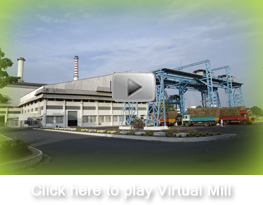 · Gujarat mills have produced 8.00 lac tons of sugar and 12 sugar mills are operating as on 28th February 2017. Last year, these 20 sugar mills which operated had produced 9.19 lac tons of sugar on the corresponding date. Last year on the same period, 15 mills were operating on 28th February 2016. · In Bihar, 11 sugar mills have produced 4.30 lac tons of sugar till 28th February 2017, as compared to 4.49 lac tons produced during the same period last year. This year, 10 sugar mills are operating on date, as against 7 in the corresponding date last year. · In case of other States viz. Uttarakhand, Punjab, Haryana and Madhya Pradesh & Chhattisgarh, sugar production till 28th February 2017 was 2.45 lac tons, 4.50 lac tons, 3.75 lac tons and 3.70 lac tons, respectively. Sugar production in these States during the current season till 28th February 2017 is slightly higher than last year. · The drought in Southern and Western part of the country during the last two years has majorly impacted sugarcane production, including yields per hectare, in these region. This has been the major contributor towards substantially lower sugar production in Maharashtra, Karnataka, Tamil Nadu, Andhra Pradesh and Telangana. Gujarat also seems to have been affected, though to a lower extent, as compared to the other States in this region. · Lower sugarcane availability has, therefore, resulted in earlier closure of sugar mills and lower sugar production as compared to last year and as compared to what was generally estimated to by all stakeholders. · Sugar sales by the mills in Maharashtra, Uttar Pradesh and Tamil Nadu have been similar to that of last year, in the first 4 months of the season, from October to January 2017. However, the sugar sales have been lower from the mills in States like Karnataka, Andhra Pradesh & Telangana mainly because of lower sugar availability therein. In the other parts of the country, the sugar sales have been similar to what they wer last year in the first 4 months. · Therefore, due to lower production of sugar, the sugar stocks held by the sugar mills in the States of Maharashtra, Karnataka, Andhra Pradesh and Telangana are notably lower than what was held on 31st January last year. · Sugar stocks held by the mills in North India, especially U.P, is significantly higher to last year on 31st January. That is because of higher sugar production therein as compared to last year. Considering that 156 sugar mills are still operating in the Northern part of the country and are likely to continue till April 2017, it is generally expected that substantially higher quantity of sugar will further be produced from this region in comparison to the drought affected States in West and Southern parts of the country. This will add to the stocks held by mills in North India.